This was one of those lucky finds, that caught my attention in the wine shop last week. 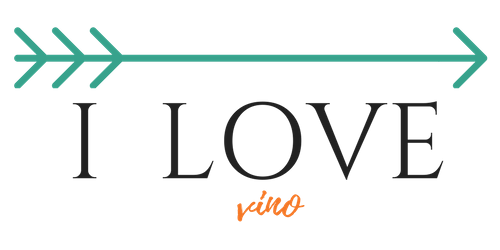 I have never noticed this wine before – and to find a Côtes-du-Ventoux (which is a close neighbor to more familiar Côtes-du-Rhône region in France) for just $ 9.99 – I got to give it a try! When my friend, a manager of the store, saw me grabbing it, he nodded with smile and said:”Aaah, so you noticed?” It gave me the gut feeling that this is going to be a good one. So I went back and took another bottle, just in case. This appellation sits on the East bank of the Rhône River, at the foot of the Ventoux mountain range. It has very similar climatic conditions and grape varieties as Côtes-du-Rhône. I always enjoyed Rhône wines and its consistent quality. So I was looking forward to check this one out. Delas Freres winery has a rich and long tradition. Founded 160 years ago in the heart of the northern Côtes du Rhône, they are today one of the largest landholders in the northern Rhône and also have a long term agreements with southern Rhône growers. The majority of their vineyard are in Hermitage, with mainly Syrah, but the winery is also represented in Chateauneuf du Pape, Côte Rôtie, Condrieu, Côtes du Rhône, and Côtes du Ventoux regions. As the newest generation, Michel Delas, took over the operations in 1960, the winery became one of the major houses in Rhône. His strategy to make a new investments, demanding highest qualities of wine together with smart marketing, placed Delas Freres among the most significant producers in Rhône. Their strong position improved even more recently, when they went into partnership with Lallier-Deutz family, owners of Champagne Deutz. Each component of the blend was fermented separately, in stainless steel, before blending together. Final blend then spent about 8 months in vats to harmonize together. Lovely, bright aroma of ripe dark cherries and raspberries, ruby color. This wine is elegant, clean, medium body red. It opens up with fruity flavors of dark cherries, wild berries and a spice. Beautifully balanced acidity, and generous finish. I enjoyed this wine very much and will definitely buy more. Super food wine. Gourmet sliced pork with Mirasol peppers, Beef brisket with roasted grapes, Pork chops with wine and capers, Easy pork chops with onions and pepers, Beef Bourguignon and many more…. Thank you so much Fred, I appreciate your comment. Glad you liked it as well! This was my first wine from Delas' – got to try more, thanks for the tip! I had this wine tonight and agree with your evaluation. I like the aggressive pepper/spice notes underlying the ripe fruit. 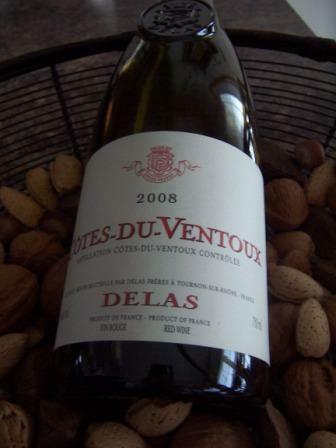 I'm also a fan of Delas' Cotes du Rhone Saint Esprit which sells for a couple of dollars more. It is about 80% Syrah, 20% Grenache–the opposite of this blend.